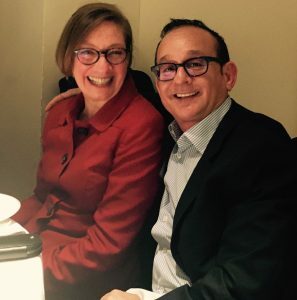 February 2017 – Friend of Protax Consulting, Nina E. Olson with Marc J. Strohl, Principal. On February 27, I attended the New York Tax Study Group and met up with my good friend Nina Olson, the National Taxpayer Advocate who reports directly to the POTUS. Marc J. Strohl, CPA is a frequent external speaker on U.S. international individual taxation matters and is guest faculty giving Continuing Professional Education (C.P.E.) and Continuing Legal Education (C.L.E.) to attorneys and C.P.A.’s worldwide. He is featured as a guest speaker and lecturer at NYSSCPA International Tax Committee engagements, including their annual FAE- International Taxation Conference. He is also featured faculty at Lawline.com and furthered.com, the leading accountants and attorneys provider of online C.P.E. and C.L.E. Education courses worldwide. 04/25/16 – Marc J Strohl, CPA Faculty Guest Speaker- CCH Wolters Kluwer Live Webinar- 2.00 hrs CPE: Foreign Earned Income: Form 2555 Exclusion Reporting and Other Tax Issues for Expat Workers. Monday, April 25, 2016 from 1:00pm-3:00 pm EST. Watch and obtain CPE for recorded webinar: Foreign Earned Income: Form 2555 Exclusion Reporting and Other Tax Issues for Expat Workers. 07/28/16 – Marc J Strohl, CPA Faculty Guest Speaker- Strafford Publications Live Webinar-, “Form 8938 Reporting for Taxpayers With Foreign Assets” Thursday, July 28, 2016 from 1:00pm-2:50 pm EST. Watch and obtain CPE for recorded webinar. 08/11/16 – Marc J Strohl, CPA Faculty Guest Speaker- Clear Law Institute Live Webinar- “U.S. Taxation of U.S. Citizens Working Abroad” August 11, 2016 from 1:00pm-2:40 pm EST. Watch and obtain CPE for recorded webinar. 11/30/16 – Marc J Strohl, CPA Faculty Guest Speaker- CCH Wolters Kluwer Live Webinar- 1.00 hrs CPE- Key Tax and Non-Tax Issues for Clients Considering Moving Outside the U.S. Wednesday, November 30, 2016 from 12:00pm-1:00 pm EST. Watch and obtain CPE for recorded seminar. 12/14/16 – Marc J Strohl, CPA Faculty Guest Speaker- CCH Wolters Kluwer Live Webinar- 2.00 hrs CPE- Foreign Earned Income: Form 2555 Exclusion Reporting and Other Tax Issues for Expat Workers Wednesday, December 14, 2016 from 1:00pm-3:00 pm EST. Watch and obtain CPE for recorded webinar. 01/24/17 – Marc J Strohl, CPA Faculty Guest Speaker- CCH Wolters Kluwer Live Webinar- “Foreign Earned Income: Form 2555 Exclusion Reporting and Other Tax Issues for Expat Workers”. January 24, 2017 from 1:00pm- 3:00 pm EST. Watch and obtain CPE for recorded webinar. 01/27/17 – Marc J Strohl, CPA Faculty Guest Speaker- Clear Law Institute Live Webinar- “U.S. Taxation of U.S. Citizens Working Abroad” January 27, 2017 from 1:00pm-2:40 pm EST. Watch and obtain CPE for recorded webinar. 09/20/17 – Marc J Strohl, CPA Faculty Guest Speaker- Strafford Publications Live Webinar-, “Mastering Form 1040NR U.S. Nonresident Alien Income Tax Returns- Identifying ECI and FDAP, Determining Taxpayer Classifications and Elections” Wednesday, September 20, 2017 from 1:00pm-2:50 pm EST. Watch and obtain CPE for recorded webinar. 12/7/17 – Marc J Strohl, CPA Faculty Guest Speaker- CCH Wolters Kluwer CPELink- Live Webinar- “Foreign Earned Income: Form 2555 Exclusion Reporting and Other Tax Issues for Expat Workers”. December 7, 2017 from 12:00pm- 2:00 pm EST. Watch and obtain CPE for recorded webinar. 1/23/18 – Marc J Strohl, CPA Faculty Guest Speaker- CCH Wolters Kluwer CPELink- Live Webinar- “Tax Issues for Nonresident Aliens Workers: Forms 1040NR”. January 23, 2018 from 12:00pm- 2:00 pm EST. Watch and obtain CPE for recorded webinar. 1/10/19 – Marc J Strohl, CPA Faculty Guest Speaker- Wolters Kluwer CCH CPELink Live Webinar-, “Foreign Earned Income: Form 2555 Exclusion Reporting and Other Tax Issues for Expat Workers” Thursday, January 10, 2019 from 3:00pm-5:00 pm EST. Watch and obtain CPE for recorded webinar. Mr. Strohl gave a clear, concise and very informative presentation. Very informative and the instructor was engaging and funny!